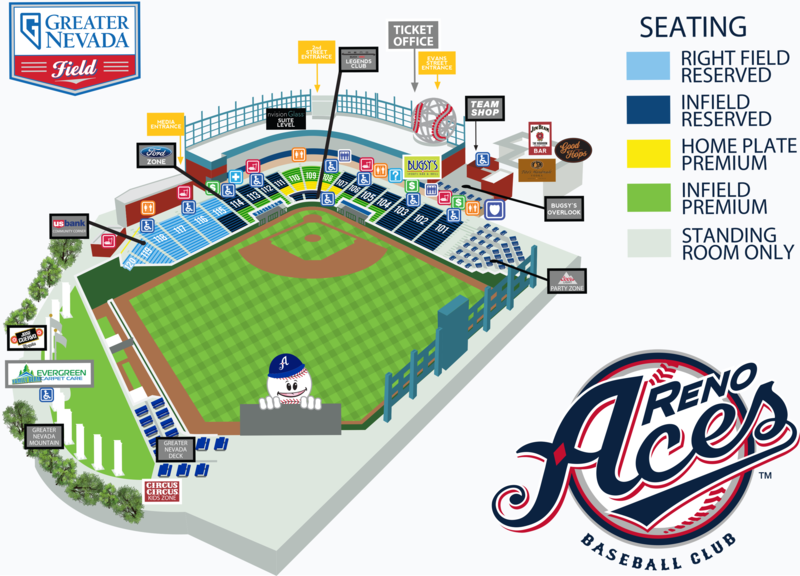 Reno, Nev. - As part of Minor League Baseball's initiative celebrating Hispanic heritage and culture, the Reno Aces will become "Los Corazones de Reno" for four games during the upcoming 2019 season. The heart milagro symbolizes love. A milagro means "miracle" and can bring good luck to its wearer. By rebranding ourselves Los Corazones de Reno, we pair the love of our community and within the Latino culture with fire for passion, chili peppers representative of the connection between food and family, and a baseball, the key object in a game of passion that brings people together. Los Corazones provides the local community another opportunity to bond over music, clothing, food and dancing while enjoying the night together at the ballpark. "Our Los Corazones de Reno campaign is designed to embrace an entire culture," said Aces General Manager Emily Jaenson. "We want to show our organization's commitment to the Hispanic fan base in Reno, in Nevada, on the west coast and throughout the entire country." The Aces alternate brand will include all aspects of the organization from new on-field Corazones uniforms, to brand new Spanish language social media interactions (@Aces) for the Corazones. Furthermore, Greater Nevada Field will feature food from the Hispanic culture during the Copa Cup dates, complete with elote popcorn, taco carts, margarita specials, and Hispanic desserts. The Los Corazones de Reno brand will also have its own line of merchandise available at the Greater Nevada Team Shop or online at aces.milbstore.com/store. Fans all across the country will be able to purchase Corazones hats, t-shirts, jerseys and a wide range of novelty items. 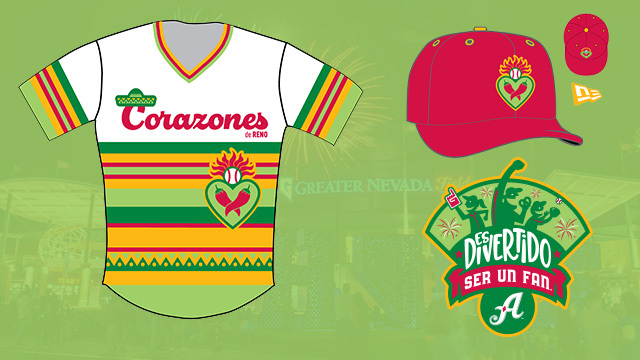 Los Corazones de Reno are one of 72 teams across Minor League Baseball competing for the "Copa de la Diversión" or "Fun Cup." 118 days this season will have at least one (1) Copa game (78.2% coverage all season) across Minor League Baseball and 402 Copa games are scheduled among the 72 clubs. The initiative is a season-long event series specifically designed to embrace the culture and values that resonate most with participating teams' local Hispanic and Latino communities. The Aces will play as the Corazones on Saturday, May 11, Thursday, June 20, Thursday, July 18, and Thursday, August 15. The Aces open their 2019 season on Thursday, April 4 at 7:05 p.m. against the Fresno Grizzlies at Chukchansi Park in Fresno and return home on April 9th to take on the Albuquerque Isotopes. Season memberships are on-sale now at www.renoaces.com or by calling (775) 334-7000. Single-game tickets go on sale March second. For up-to-date news and notes throughout the offseason, follow the club on Twitter (@aces), Instagram (@renoaces), or like the team on Facebook.